Sometimes you just need a little help, get fast answers to most of your questions. Orders are dispatched within 1-3 working days. Orders within the country are usually delivered within 4-10 working days from ship date. Orders shipped outside the country will take 7-20 working days depending on location. Although this is not normal, please be advised certain international countries can take up to 12 weeks for delivery. If you are unsure if your country may take this long please send us an email and we can advise you. 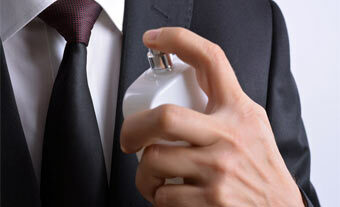 Yes, we only sell original designer fragrances. You will not find any imitation or knockoff fragrances at PerfumeEmporium.com. Our products are the same you would find at the high end department stores, and in most cases they are sold at discounted prices. If you have not received your order and it has been 10 working days (Domestic) or 25 working days (International) since you received your "Shipped" order email, please initially check with your post office to ensure that they do not have the parcel, and then if they do not have it please contact us via sales@perfumeemporium.com and we will either resend the order or issue you a full refund. We'll gladly accept returns for any PerfumeEmporium.com products upon receiving your items within 365 days of the receipt date (Returns made after 60 days will be eligible for store credit only). We will promptly process your request and refund your money via crediting your credit card. Unfortunately for health and safety reasons, there are NO returns or exchanges on any OPENED or USED skincare, makeup, or haircare items. So please evaluate these items carefully before purchasing. Orders placed within the state of California are charged tax at the current tax rate of 8.75%. VAT will be charged for orders being shipped to the UK. The VAT rate is 20% and is applied at checkout. We currently accept Visa, MasterCard, Discover and American Express credit cards. Yes, we currently ship worldwide. Occasionally we will remove a country if we have numerous problems with fraudulent orders or too many customs issues, but this is rare. Please email us at perfumes@perfumeemporium.com if you do not see your country listed. I have a retail store, do you sell your products wholesale also? $8.00 for 4 to 5 items. $12.00 for 6 or more items. $13.00 for 4 to 5 items. $17.00 for 6 or more items. If you have more questions, send us a message and we will answer you right away.